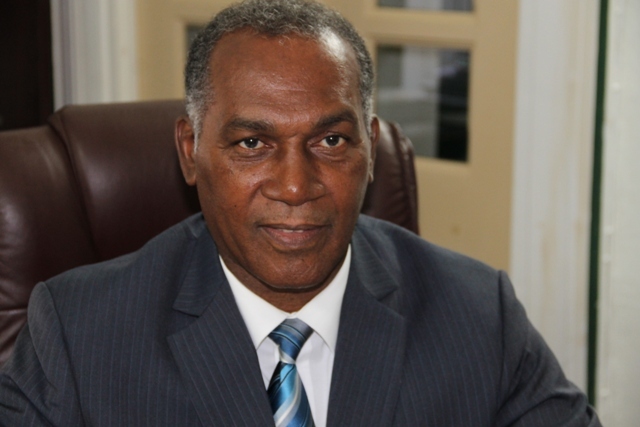 NIA CHARLESTOWN NEVIS (February 02, 2015) — The following is the full text of a message delivered by Premier of Nevis Hon. Vance Amory on February 01, 2015, on the occasion of History and Heritage Month. Celebration of history and heritage by these three agencies, must therefore be applauded and commended. During the month of February, we will be reminded of who we are, what we have done and what we might do better and what we can do better. Celebration of our island, our culture and our people, is something that is dear to my heart. I must confess, that I deeply love Nevis and I am its number one fan. It goes without saying, that Nevis is synonymous with paradise. Nature has been very generous to our island and as small as we are, our natural beauty, our culture and history set us apart and makes us unique. Nevis is the birthplace of Alexander Hamilton, one of the founding fathers of the United States of America. He was born here, he grew up here and played as a little boy in Nevis and later became the founding father of the United States economy. Nevis is also the island where Horatio Nelson, stationed as a young sea captain and where he met and married Nevisian beauty Frances Nisbet. Let us also remember, that it was the profitability and quality of the Nevisian sugar that made our island wealthy and earned it the nickname “Queen of the Caribees”. Also of note, is the fact that when the Leeward Islands were separated from Barbados in 1671, Nevis became the seat of the Leeward Islands colonies and remained the colonial capital of the Leeward Islands until the seat was transferred to Antigua for military reasons in 1698. Nevis is our little island in the sun and should be celebrated by all Nevisians. The celebration of our island, our culture and people, affords us the opportunity to think about the importance and value of truly being Nevisian. It allows us to celebrate what we have achieved as a united people and to recommit to making Nevis an even better place. During the course of this month, let us as a people celebrate the values that sustain us, the ties that unite us and the culture that shaped us. Let us celebrate all of our people who have individually and collectively dedicated themselves to making Nevis a better place. We are celebrating all those men and women, at home and abroad, who have been selfless and have lived for others rather than for themselves. Such ones represent a united Nevis, a Nevis that was and still is the envy of our neighbours. Our culture is our life. We have a rich and diverse culture which enriches our lives and carries our collective memories. It also constructs our unique identity which is deeply rooted in the African tradition and norms. In celebrating our culture, our history, antiquities and monuments will become part of our collective memories and a significant part of our cultural assets. Our Premier cultural festival Culturama, serves to promote and concretise our culture. Our libraries are rich in books and programmes that highlight our culture. Our museums, small as they are, house a vast collection of materials on our local history and prove to be a medium of cultural transmission. Finally, let me once again congratulate and applaud the Nevis Historical and Conservation Society in collaboration with the Brimstone Hill Fortress National Park Society and the St. Kitts National Trust, for hosting this year’s History and Heritage Month. As a nation, we are indebted to you for your diligence and commitment towards keeping our history, our heritage and culture, in the forefront of our national agenda. The Nevis Island Administration recognises your vigilance and effort and we are eternally grateful to you. May your efforts continue to bear fruits and may this year’s History and Heritage Month be fulfilling, edifying and successful. Thank you and let us all enjoy our culture, our heritage.